Midfielder Paul Ahern strengthened his case for senior selection on Saturday, during North's final VFL practice match. The 22-year-old was named as an emergency for the Roos' Round 2 clash against Brisbane, but could be nearing a return after another good display. “I thought Paul was terrific today,” Senior Development Coach Gavin Brown told North Media. “Playing as an inside-midfielder, he got plenty of the footy and used the ball really well. His skill execution and decision-making was outstanding. It came as little surprise to see in-form defender Tom Murphy in the thick of things within North’s defensive six, providing line-breaking run and poise with his distribution. Citing his clean disposal under pressure, Brown continues to see improvement in the young defender. “Tom did a lot of good things,” he explained. “He defended quite well, I didn’t mind his game. Most of the time, I thought he also used the ball really well off half-back. Former Sydney utility Dan Robinson continues to impress since switching to Arden Street, offering composure in an unfamiliar role. “Playing on the wing today, I thought Dan did some good things,” Brown added. “Even though he wasn’t playing inside like he normally does, I really liked his game and the experience he gives. When he had the chance, I thought he used the ball particularly well. 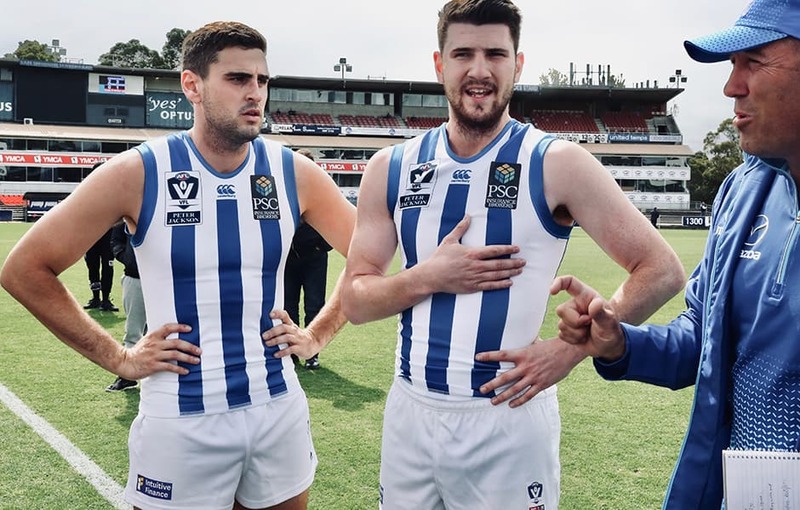 North was defeated by the Northern Blues by 34 points in their final tune-up for season 2019. 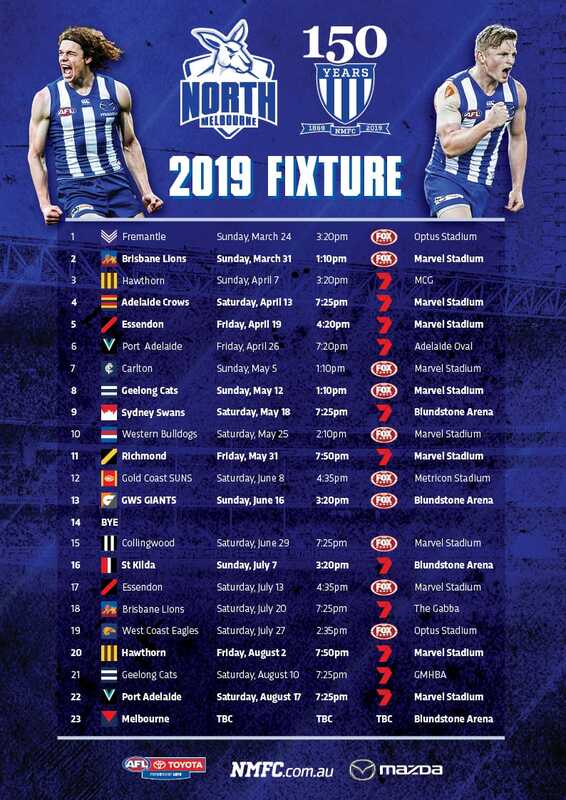 The Roos will take on Werribee in their season-opener on next Saturday night at Avalon Airport Oval.